Antibiotic resistance is a major and growing problem worldwide. According to the World Health Organization, antibiotic resistance is rising to dangerously high levels in all parts of the world, and new resistance mechanisms are emerging and spreading globally, threatening our ability to treat common infectious diseases. But how these bacterial resistance mechanisms occur, and whether we can predict their evolution, is far from understood. Researchers have previously shown that one way bacteria can survive antibiotics is to evolve a "timer" that keeps them dormant for the duration of antibiotic treatment. But the antibiotic kills them when they wake up, so the easy solution is to continue the antibiotic treatment for a longer duration. Now, in new research published in the journal Science, researchers at the Hebrew University of Jerusalem report a startling alternative path to the evolution of resistance in bacteria. After evolving a dormancy mechanism, the bacterial population can then evolve resistance 20 times faster than normal. At this point, continuing to administer antibiotics won't kill the bacteria. To investigate this evolutionary process, a group of biophysicists, led by Professor Nathalie Balaban and PhD student Irit Levin-Reisman at the Hebrew University's Racah Institute of Physics, exposed bacterial populations to a daily dose of antibiotics in controlled laboratory conditions, until resistance was established. 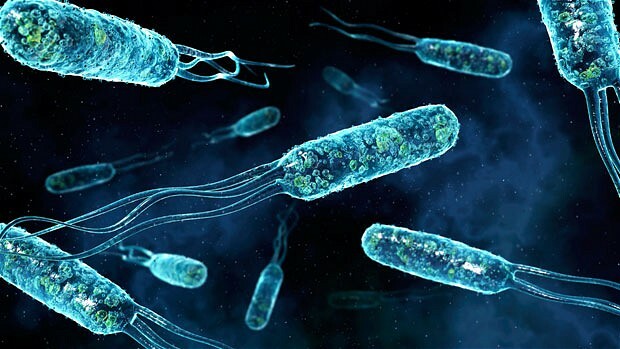 By tracking the bacteria along the evolutionary process, they found that the lethal antibiotic dosage gave rise to bacteria that were transiently dormant, and were therefore protected from several types of antibiotics that target actively growing bacteria. Once bacteria acquired the ability to go dormant, which is termed "tolerance," they rapidly acquired mutations to resistance and were able to overcome the antibiotic treatment. Thus, first the bacteria evolved to "sleep" for most of the antibiotic treatment, and then this "sleeping mode" not only transiently protected them from the lethal action of the drug, but also actually worked as a stepping stone for the later acquisition of resistance factors. The results indicate that tolerance may play a crucial role in the evolution of resistance in bacterial populations under cyclic exposures to high antibiotic concentrations. The key factors are that tolerance arises rapidly, as a result of the large number of possible mutations that lead to it, and that the combined effect of resistance and tolerance promotes the establishment of a partial resistance mutation on a tolerant background. These findings may have important implications for the development of new antibiotics, as they suggest that the way to delay the evolution of resistance is by using drugs that can also target the tolerant bacteria. Unveiling the evolutionary dynamics of antibiotic resistance was made possible by the biophysical approach of the research team. The experiments were performed by a team of physicists, who developed a theoretical model and computer simulations that enabled a deep understanding of the reason behind the fast evolution of resistance that were observed.